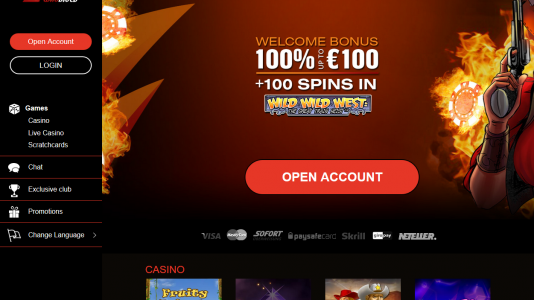 "Payments may be a little slow"
Wildslots is the sister casino to NextCasino and CasinoLuck. Both casinos are in the accredited section, but due to a change in platform (Aspire Global International), which besides a number of things provides payout processing – they have been getting bad reviews in the forum, mainly their payouts have slowed. Before using Aspire Global, payouts were taking a matter of a few hours, now it’s a few days. Signing up is easy. I signed up and within minutes was playing vai a Neteller deposit. I cashed out, and while doing so uploaded my ID docs (without being prompted). I was notified that my payout would be processed via email, and 48 hours later was informed the the payment would be on the way (within 24 hours). SO yes, payments maybe slow – at least for a first time withdrawal. Licensed in Malta and by the UKGC. Their selection of games: Netent, and their “house games”. I spoke with their chat about which gaming platforms they were using – and that’s all she could tell me. Even though Wildslots’ sister sites are listed in the Accredited section – we are holding back a Baptism By fire until they speed up their payouts a bit more. At the moment they are taking too long, which is frustrating the membership. On the plus side, they have an active forum rep who can answer questions and solve any problems as they pop up.